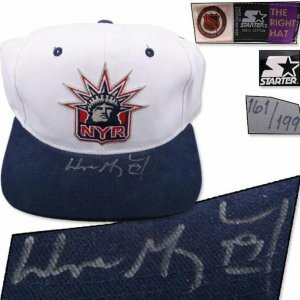 Wayne Gretzky UDA Signed New York Rangers Cap. 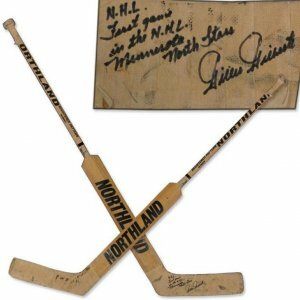 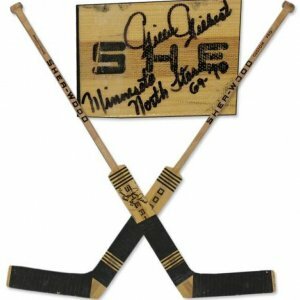 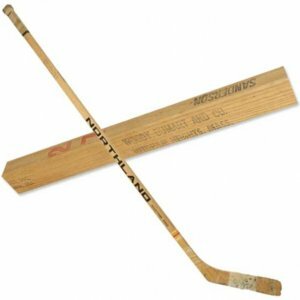 1969 Gilles Gilbert Game-Used Goalie Stick From His 1st NHL Game, Inscribed & Signed. 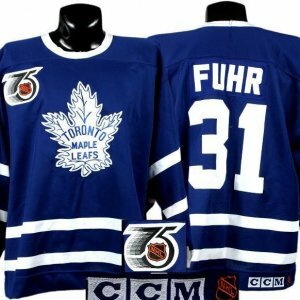 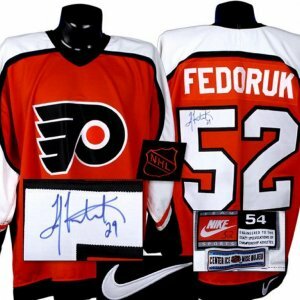 1997-98 Todd Fedoruk Game Worn Jersey. 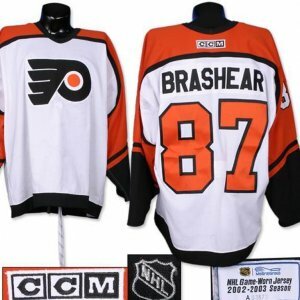 2002-03 Donald Brashear Game Worn Jersey. 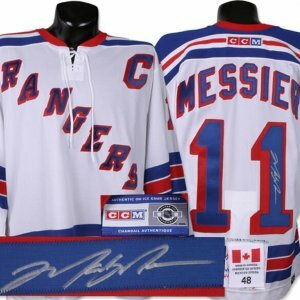 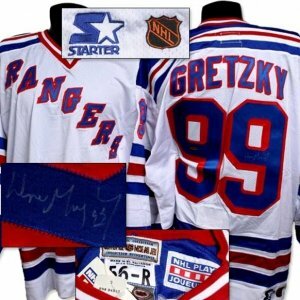 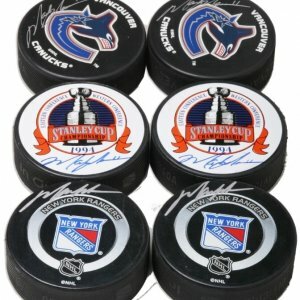 Mark Messier Signed NY Rangers Tie-Up Jersey Comes With Letter From Rangers. 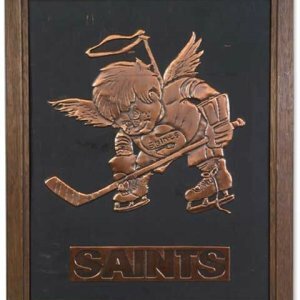 Actual 1970’s WHA Minnesota “Fightin’ Saints” Front Office Plaque. 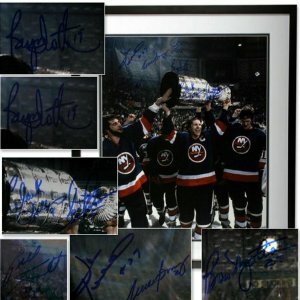 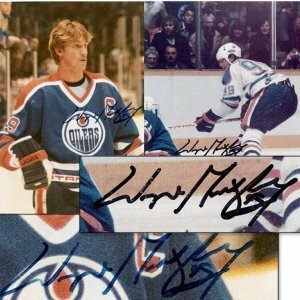 Wayne Gretzky Signed Photographs (2). 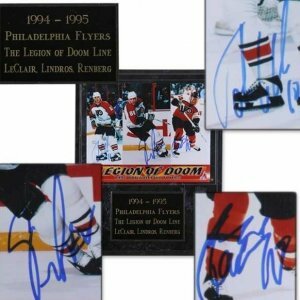 1994-95 LeClair, Lindros & Renberg Signed Photograph. 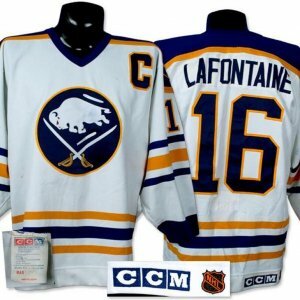 Mid-1990’s Pat LaFontaine Game Worn Jersey. 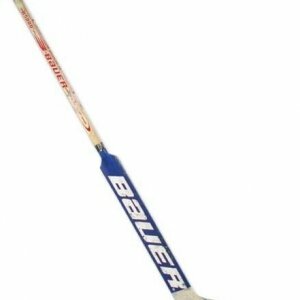 Mike Richter Game Used Stick. 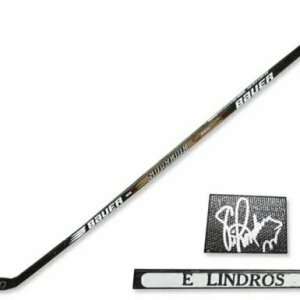 1990/2000 Eric Lindros Signed Game Used Hockey Stick. 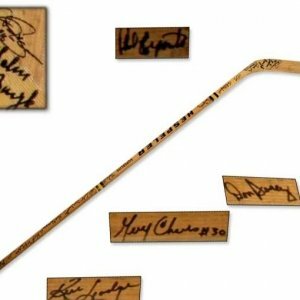 Wayne Gretzky Game Used Signed Stick. 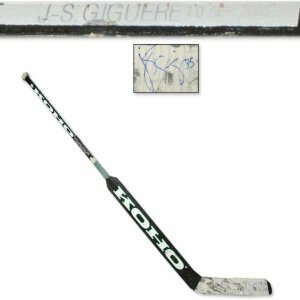 Jean-Sebastien Giguere Game Used Signed Stick. 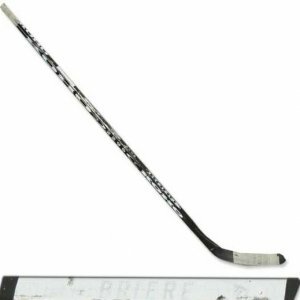 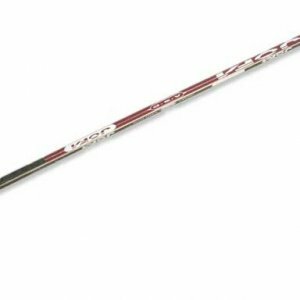 Daniel Briere Game Used Hockey Stick. 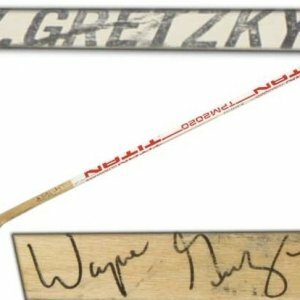 Wayne Gretzky Signed Full Size Stick. 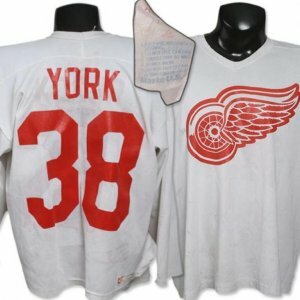 Early 1990’s Jason York Game Worn Practice Jersey. 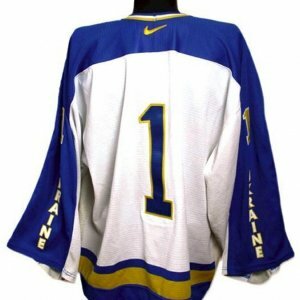 1997 Alexander Vasiliev Ukraine National Team Game Worn Jersey. 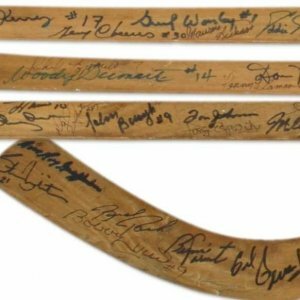 1969-70 Boston Bruins Team Signed Stick. 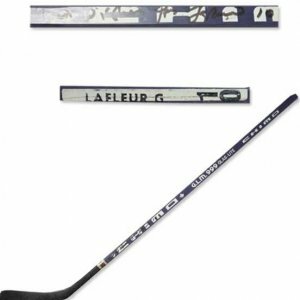 Guy LaFleur Signed Game Stick. 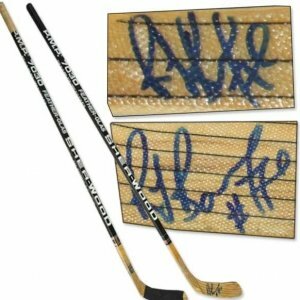 Ray Bourque Game Used(1) & Signed ONLY(1) Sticks (2). 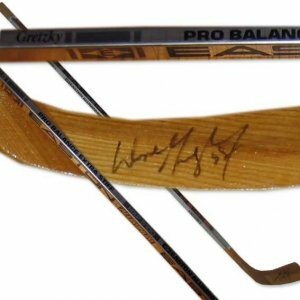 Hockey Hall of Famers Multi-Signed Stick.